icon hand painted created by Bulgarian artist Georgi Chimev. egg tempera, wood, gold leaf. varnished finish for long-lasting protection. 20cm high x 30cm width approximately 7,87 x11.8 inches. 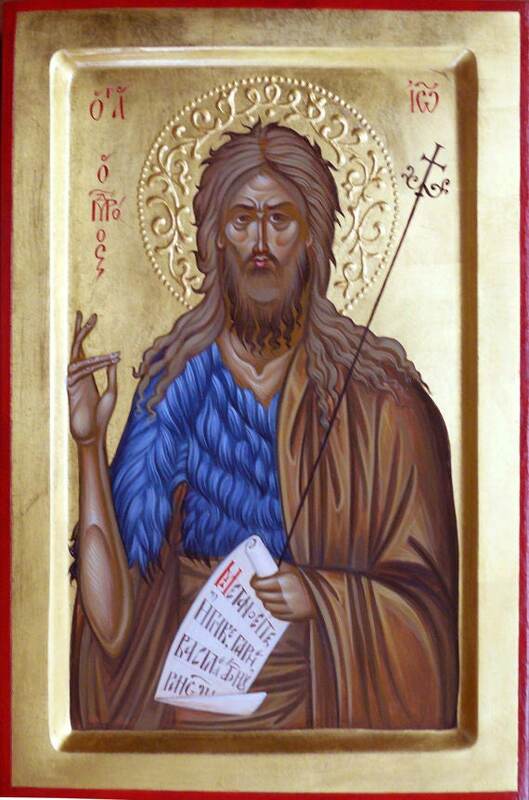 The icon will be painted on a dry wood panel with rised borders (kovcheg), reinforced with wood bars. The painting technique is called egg tempera. For the halo, and the background icon will be used gold leaves. Halo will be filled with decorative elements. The icon will be varnished with a couple of layers to assure a long-lasting image and to make it easy and safe to clean it from dust. The back will be varnished with darker tone semi-transparent varnish for a nice finish. Please note that this is a hand-painted copy of an original icon. 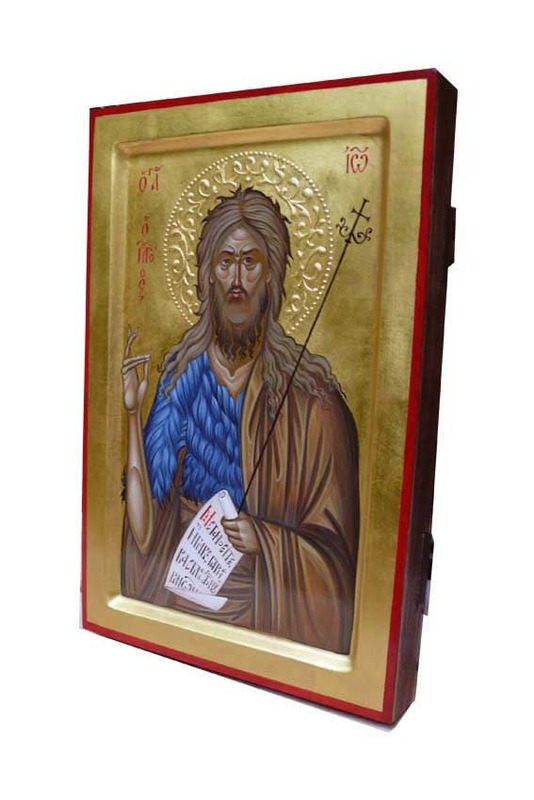 Originals are in museums and churches in Bulgaria, Russia, Greece, and other countries.